We are happy to offer Crystal Journey's Mandala Collection candles inspired by the artwork of Byron Allen. Each of these beautiful candles have been designed with one of ten sacred intentions and hand-poured from the finest wax, crafted with lead-free materials and scented with the purest exotic blends of essential oils. The artwork gracing the candle is based on a mandala pattern inspired by the sacred art of various spiritual traditions. 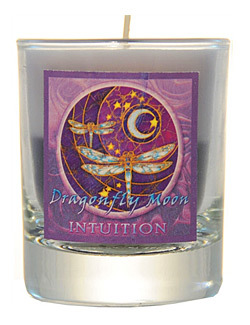 They are perfect for establishing sacred space, contemplative moods and focused intention. Their unique size, gorgeous design, radiant colors and long-burning transcendant scents combine to enhance your decor and inspire your journey.